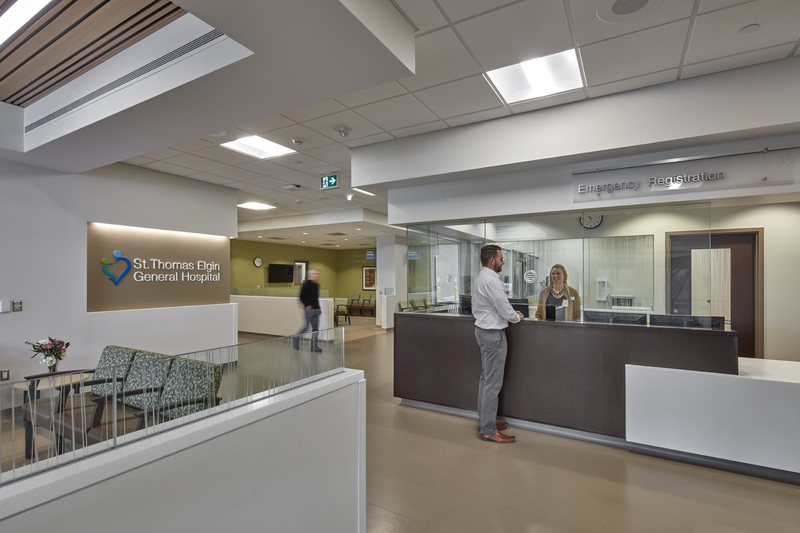 St. Thomas Elgin General Hospital Redevelopment is a multi-phase Master Plan implementation project, responding to the community Hospital’s project growth over the next 50 years. 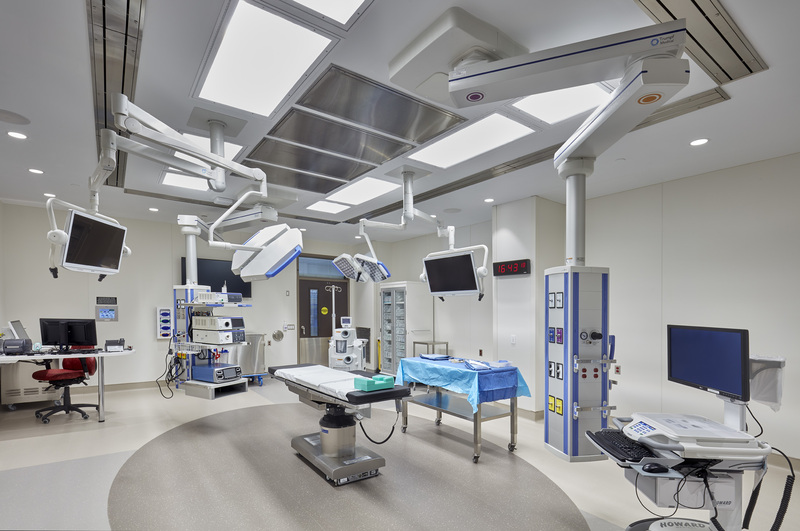 This first phase is the Hospital’s single largest investment in over 60 years. 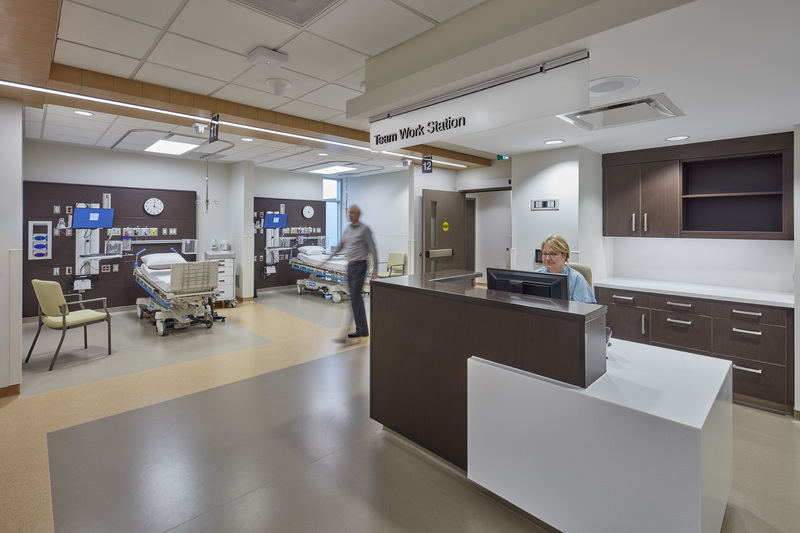 It includes a new tower on the North-East corner of the site designed to accommodate three core clinical services: a new Emergency Department, Surgical Suite, and Mental Health and Addiction Services as well as an improved Sterile Processing Department. 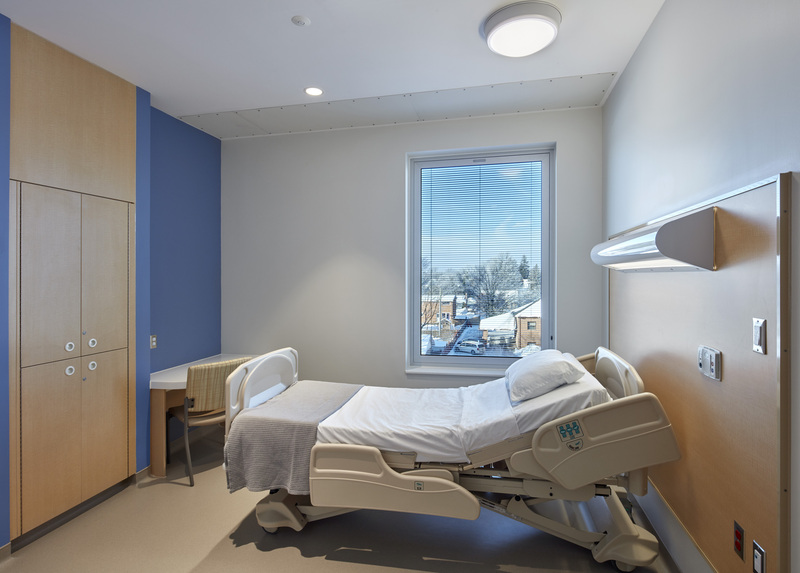 The tower connects directly with the existing hospital through a series of glazed bridges. 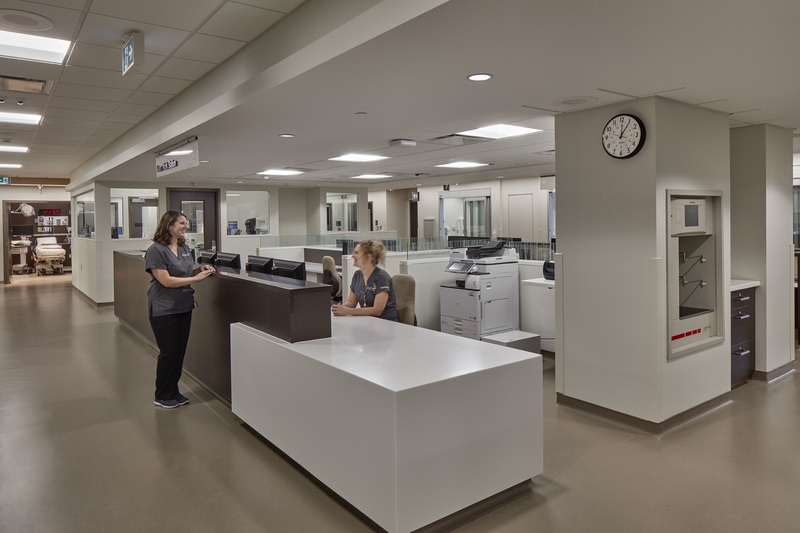 Departments are stacked to achieve leaner workflows and resource efficiencies while department-specific drop-offs and entrances maintain easy wayfinding. 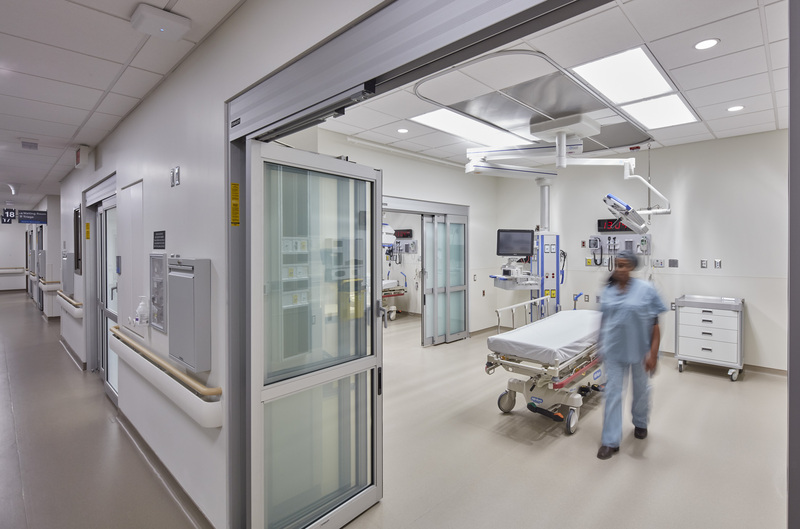 Each department balances a critical concern for patient comfort, privacy and dignity with optimal spatial arrangements, sight lines and overall staff effectiveness. 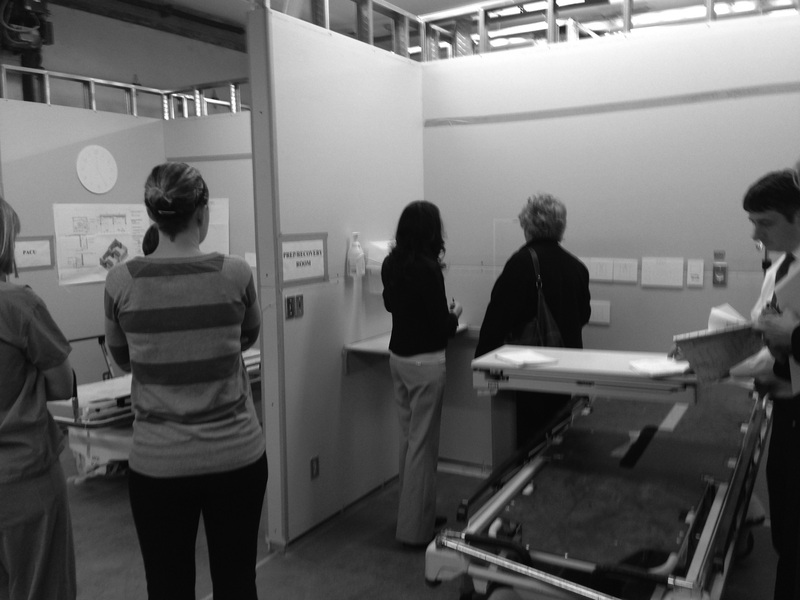 Inherent flexibility in the design allows the tower to evolve with patient needs and care delivery methods. 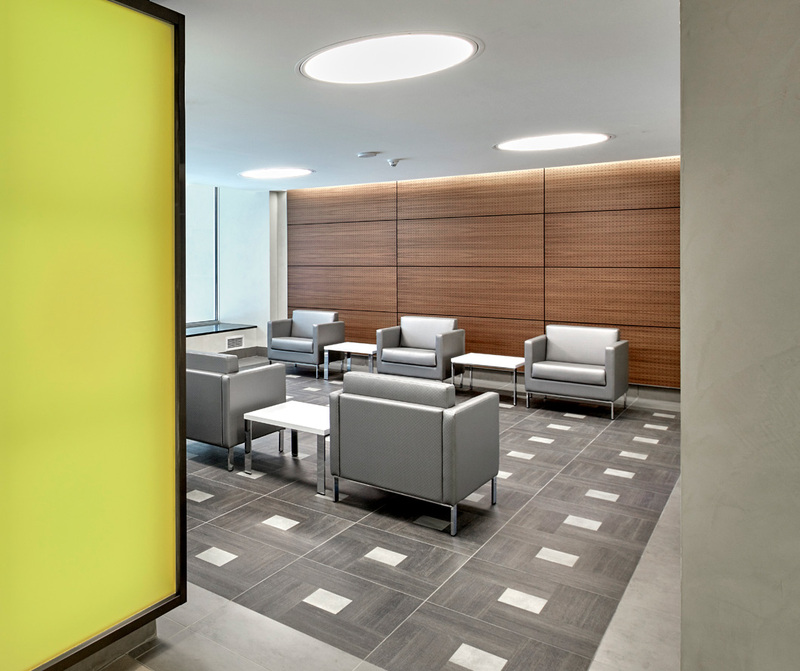 Nature and natural light are privileged throughout the building, creating a positive, stimulating treatment milieu. 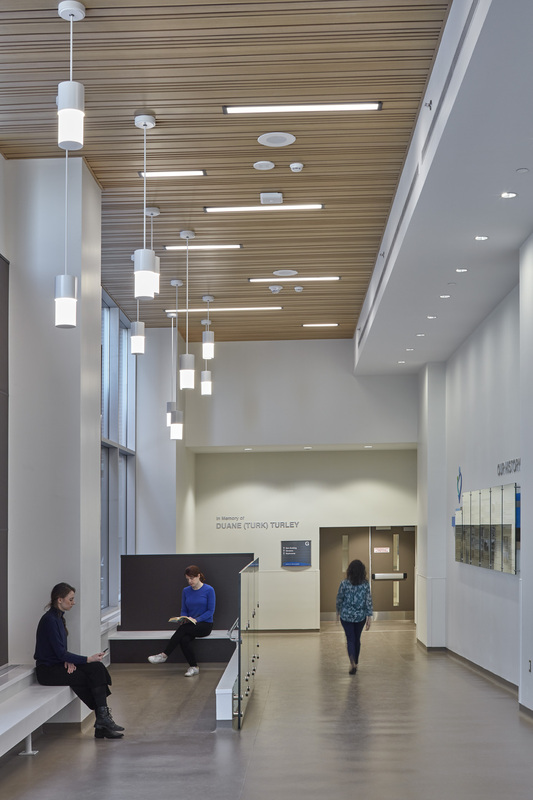 This environment is further enhanced by public art; visible in otherwise mundane spaces, these pieces offer a renewed sense of warmth and engagement. 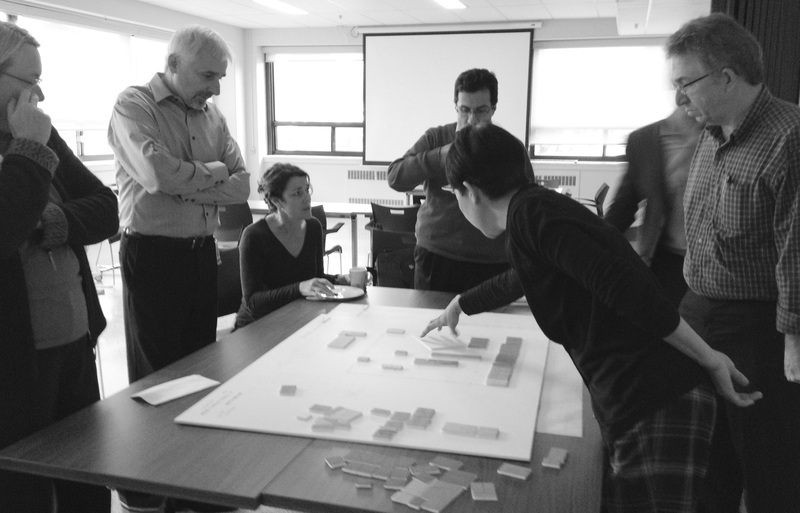 The tower generates a critical sift in the hospital’s relationship to the City. 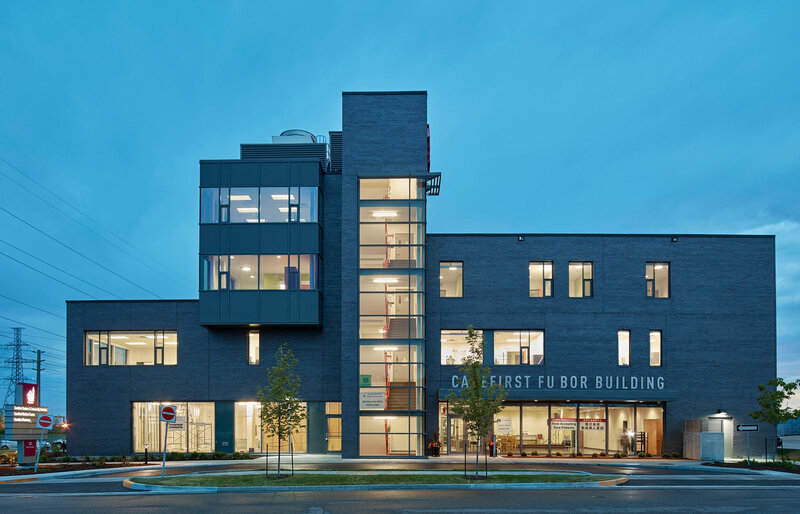 The distinctly suburban site plan with expansive grade-level parking was transformed to included stronger street connections with a more urban feel, integrating the building more fluidly within the surrounding community. 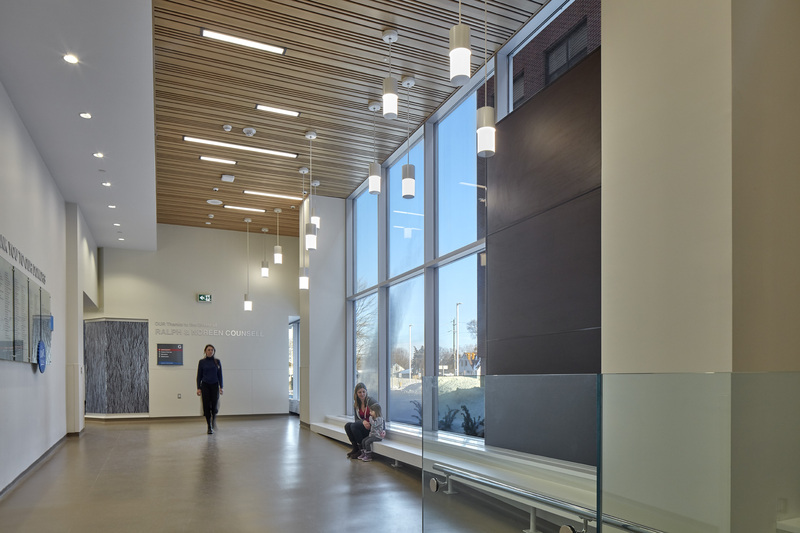 The building mass is broken down to reflect the local vernacular while the material palette – brick, stone, and wood patterned phenolic panels – was selected to create an animated, inviting image rather than a cold, clinical, institutional one.